Kids will enjoy creating patterns with this Lacing Ring. 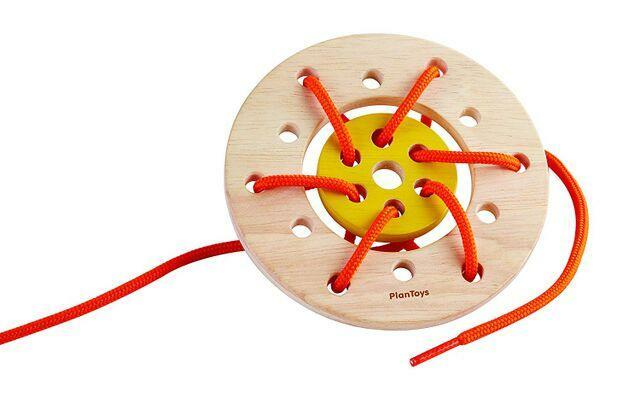 Helps to develop fine motor skills, hand-eye coordination, as well as reinforces their creativity. Includes: 1 lace, 1 circle and 1 lacing frame.